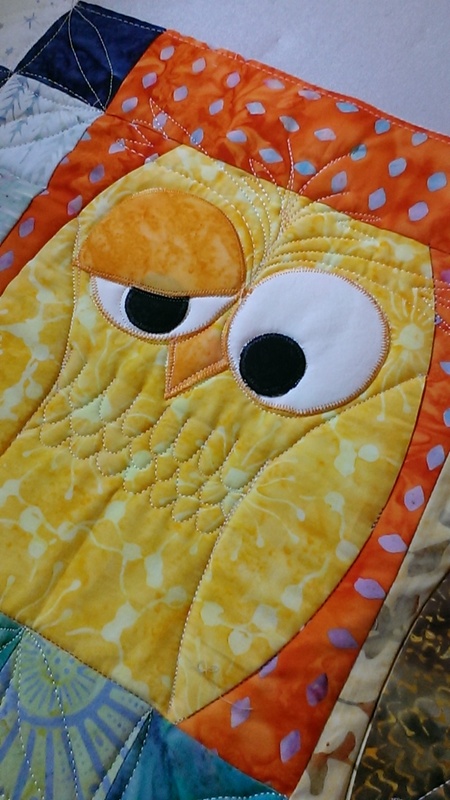 I saw a cute owl table runner on Pinterest. I had no luck trying to find a pattern through the link. After looking at the photo, I thought I can make this... I borrowed my friends curved ruler and made something similar. Cute eh! I'm hosting the Friday Girls for coffee break this Friday, so it's a good goal to get it quilted up. It's on my ironing board just getting the last few touches. I was gung ho to do this in a year when Janet Stone's Block of the Month came out on the Quilt show in 2014 I think. I kept up with the fast pace for six months. Then Summer hit. Once I got stopped, it was hard to pick it back up again. 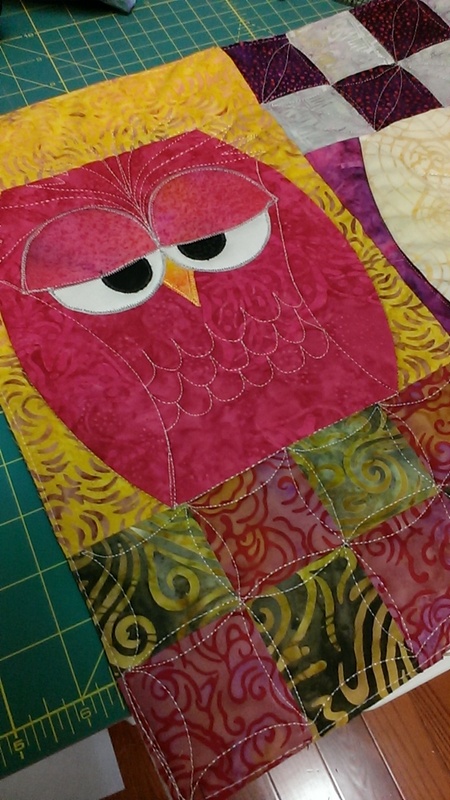 But I did continue in the fall and got the center blocks done almost a year ago. The borders have been been hanging on my banister for a year. In my mind, it's officially a UFO. Well, I've been picking away at it this week. Little by little it's coming along. I'm quite excited at how great it looks.... I've been having this conversation with my self. Do I? or Don't I? 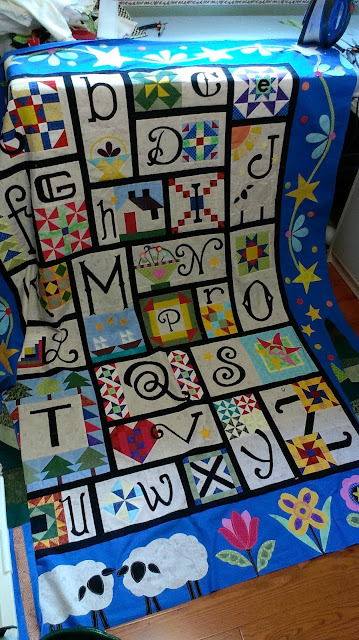 I really want to quilt it myself, but I have so many other things I want to get started on, I think I've decided to send it out. 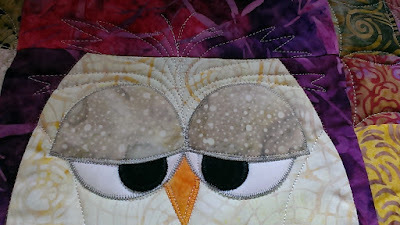 So I'll show it to you again after it's been quilted. My sister was here for a visit last weekend. We didn't have much time together, so were on the move and did many things. 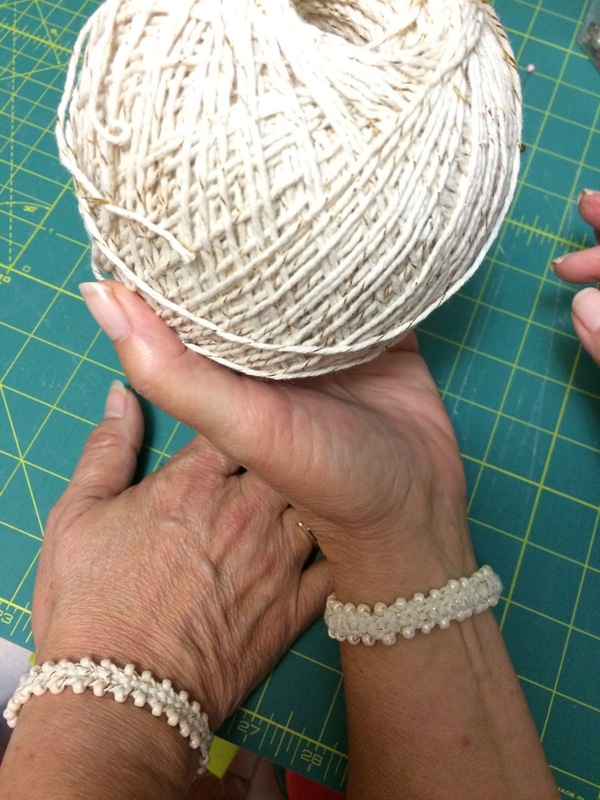 We were looking for nice cotton thread to make a kumihimo bracelet. We were in Homesense and in the small craft department, I spotted this big ball of twine. The pretty twine paired with cream colored Toho beads from Michaels would be perfect for our afternoon project. We worked from directions given to me by my friend Betty T. They were perfect. It took about an hour. 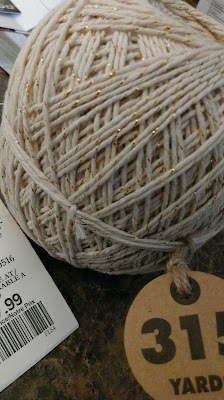 The little gold thread running through the twine was just the right touch. Each of our bracelets only took about 5 yards. So now I have 305 yards of twine left to use. Any ideas?